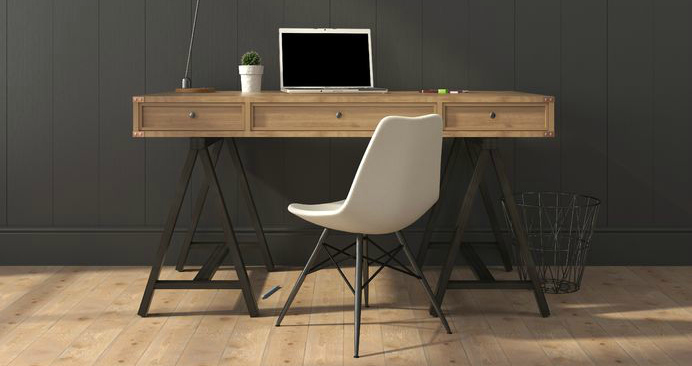 While there is still a lot of apprehension when discussing work from home opportunities with newcomers, there is an increasing number of reputable companies offering remote opportunities today. One such company is Amazon. 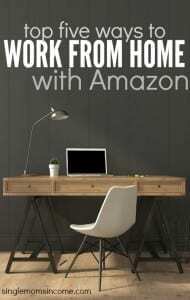 There are several ways you can make money working at home with Amazon. The possibilities range from actual telecommuting employee positions to fabulously lucrative home business options. mTurk has been around since 2005. It was perhaps one of the first crowdsourcing, micro-gig websites. This site offers primarily short tasks, or HITS, that require little skill or equipment outside of an internet connection and computer. HITS include tasks like transcription, data entry, information verification, etc. The pay reflects the minimal effort required. It’s usually less than $1 per HIT, so you probably won’t be able to pay the bills as a Turker. That being said, there is a large number of people who enjoy the laidback atmosphere and ability to work as they please without commitment. And a site like mTurk List can help you find lucrative HITS. Payments are made through Amazon Payments that you can transfer to your bank account or spend on the Amazon website. 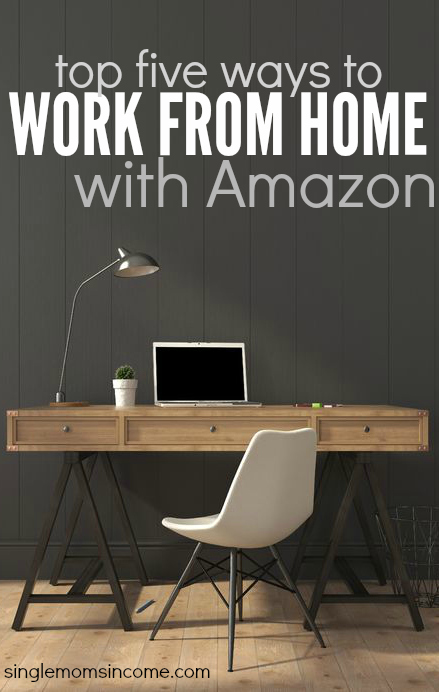 Few people know there are actual work-at-home Amazon jobs available. These are seasonal part-time and full-time employee positions answering customer questions and assisting in the sales process. Amazon hires residents of Washington, Oregon, and Arizona. If you are looking for a full-time gig, this is one to consider. Benefits are available! Check for openings here. As a blogger, I love the Amazon Associates program. While the commission starts out low at 4%, you can scale up quickly based on your sales volume. Don’t overlook the fact that Amazon is likely the most trusted online merchant around, and they carry almost everything. They do one heck of job upselling for you. When is the last time you placed an order without making an effort to hit that free shipping threshold? Self-publishing has become mainstream in recent years. Platforms like Amazon Kindle have made it easier than ever for almost anyone to become a published author with a few clicks of the mouse and minimal investment. There is no upfront cost involved with selling eBooks through Kindle Direct Publishing. Instead, you are paid a royalty of 35% to 70% depending on the price of your book. While you are giving up a good portion of your profits in some cases, you can’t beat Amazon’s built-in customer base and affiliate program. Perhaps the hottest side hustle of the moment is Fulfilled By Amazon or FBA. With this opportunity, you purchase merchandise cheap, usually through a wholesale company, and send it to Amazon to store and ship. You sell the items at a markup and Amazon takes care of shipping the items to the customer. This one does require an investment, but once you purchase your merchandise and ship it off to Amazon to fulfill the orders you can sit back and enjoy some passive income – our favorite kind of income. Angie Nelson has been a virtual assistant and serial blogger since 2007 when she took her future into her own hands and found a way to escape the corporate cubicle farm. Today she balances several successful online ventures and still manages to share her passion for making – and saving – money with others. Visit The Work at Home Wife to learn about more opportunities to earn an income while keeping your personal freedom. I would love to be an affiliate but I live in one of the 6 states that Amazon won’t allow affiliates. Am bummed! Hi, Michelle. Check out VigLink. In the past it was a great alternative to those living in a Nexus Tax state. Hopefully that’s still the case. It’s a great program. One way to work at home and make money is to sell other people’s stuff, known as affiliate marketing. Today to start your own affiliate business and work at home is not a hard thing to do specially with websites like Amazon. That sounds great. Everyone says that but no one says how to start. Now that would be helpful! Very interested. How would I go about this? Incredible post Alexa ! This post is like a basket full of knowlodge. Thanks alot fot the great post !! I’ve done all of these except the second one. Currently doing mainly FBA. I wonder if you have actually done FBA because it is far from passive. I’m buying and shipping daily. My books and websites are passive, I haven’t touched them since 2012 and I still earn an income, but if I ever stop shipping to Amazon FBA, my money will stop. What kind of opportunities are available in this area? We are the home to Texas A&M University near College Station / Bryan in Texas. We are about 1.5 hours north of Houston and 3 south of Dallas / Ft. Worth. I am on LinkedIn and Facebook. What I really want to do is help low income families or seniors that are drowning in paperwork. How does the affliate work? Where could I go to learn about it? Thanks for your help! Love your post Angie. Full to the brim with relevant and easy to apply tips. I’ve retrained in the digital marketing space after having my daughter 2 years ago. Affiliate marketing is a great way to earn a flexible income, working the hours that suit you & your family. Not the hours that are dictated by an employer. I am incredibly excited to have found a company that provides amazing education with full business coaches & mentors for support to start my online business. They have started an online community that covers millionaire business owners to stay at home parents. All who freely & generously share their knowledge & can answer any questions 24 hours a day. Across USA, UK, Australia & New Zealand members are supporting one another to build successful businesses that work on auto pilot, my mentor now earns over $1000 per day if she works or not!! This is a company that practice what they preach, as the owners are 2 series entrepreneurs passionate about helping as many of us as possible to build skills necessary to become successful & lead more fulfilled lifestyles in the age of the internet. Thank you for spreading the word & helping others as you do. I’ll email you the details, apologies for the late late reply! I must admit I didn’t keep a check of this thread, still learning to balance home life with new business developments. The name of the company I refer to is The Digital Experts Academy, and The a Six Figure mentors. I love the Amazon Associates Program. 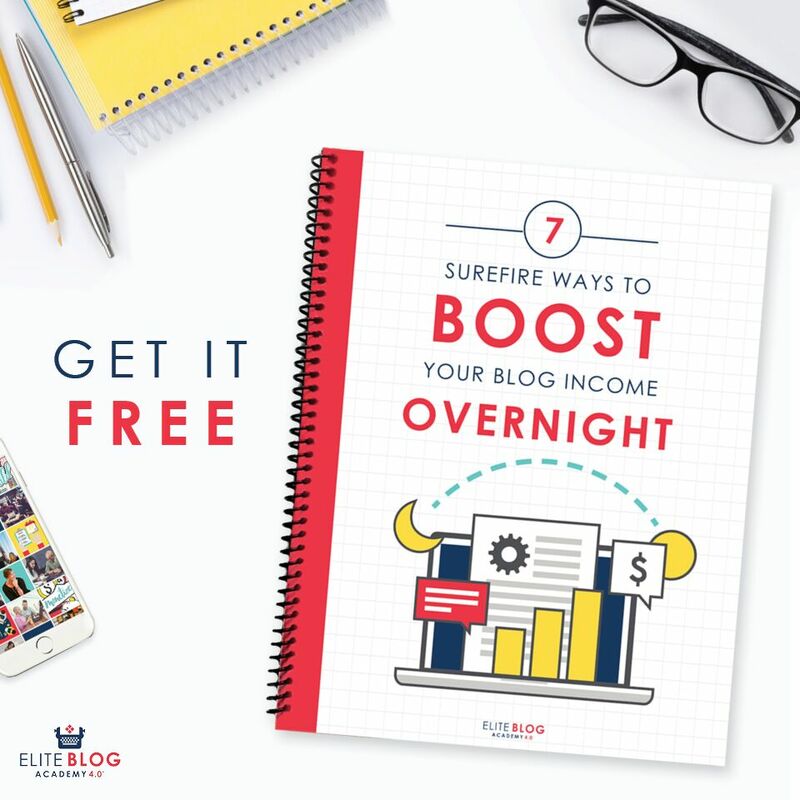 It’s great for newbie and pro bloggers alike. I have a book that I would like to self-publish on Amazon but I was wondering if it meets certain qualifications. (If so I just might end up giving it away as a freebie on my blog). Do you have any tips on instructions on how to best publish an eBook that does well on Amazon? I would love to work from home can anyone let me know how to get started. Feel free to email me gina.swails@gmail.com for a wonderful work from home opportunity. Do you have any recommendations on places to start looking for wholesale companies to buy from? Check out this site: http://startupbros.com/ They talk a lot about wholesaling and private label. I knew a lot of these, but some of these I had no clue about! Definitely sharing! I started out republishing books on Amazon. I saw some sales during the holiday season but now they have declined. I enjoy this as a hobby but wouldn’t be disappointed if it turned into more. After doing the upfront work and turning it over to Amazon they take over and do the work of selling the ebook. I’ve just started monetizing my blog (mommysuburbia.blogspot.com) and enjoy the learning process. I’m a SAHM and getting involved with the Amazon opportunities has provided me with a connection to the “outside” world and I really love learning something new. I worked with other affiliates program but I am highly interested to work with Amazon. It’s like a dream to me. Thanks for those guidelines.